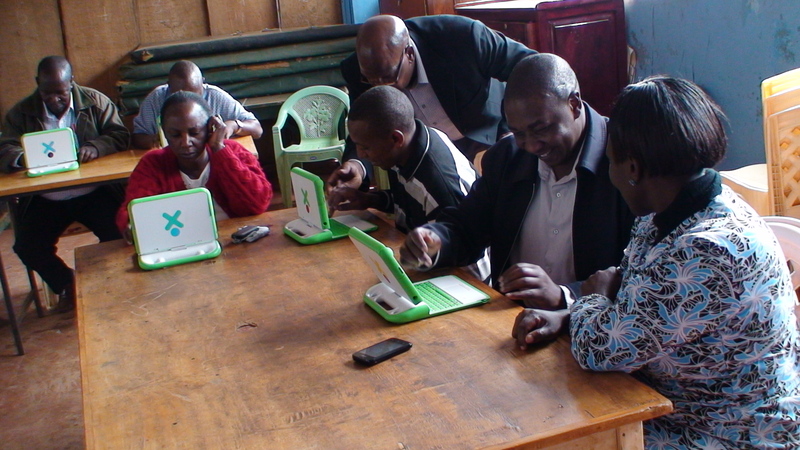 New Schools Receive Laptops From Kenyan Diaspora Leaders with Small Solutions Big Ideas Leading the Training and Implementation. January and February 2014. Jambo Boston brought Small Solutions to a Kenya audience. Sandra Thaxter, Jane Wanja Bromberg and George Newman were guests on an evening in December talking about the XO laptop programs we have established in Kenya over the last four years. Listeners called in and asked if they could start such a program in their village. 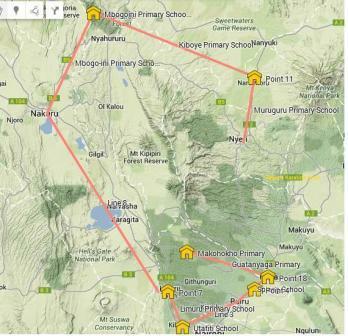 The results were a three and half week tour of 8 schools in Kenya central region and a few beyond. 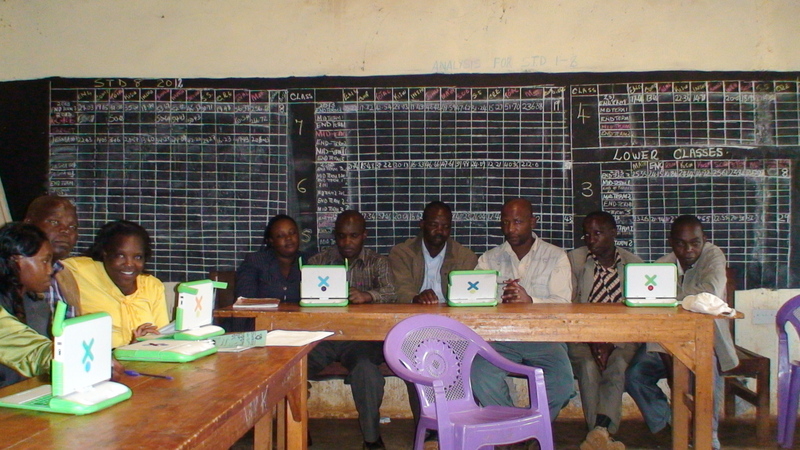 Each school received 2 days of training for teachers and students, and each received 4 XO laptops to get their program started. 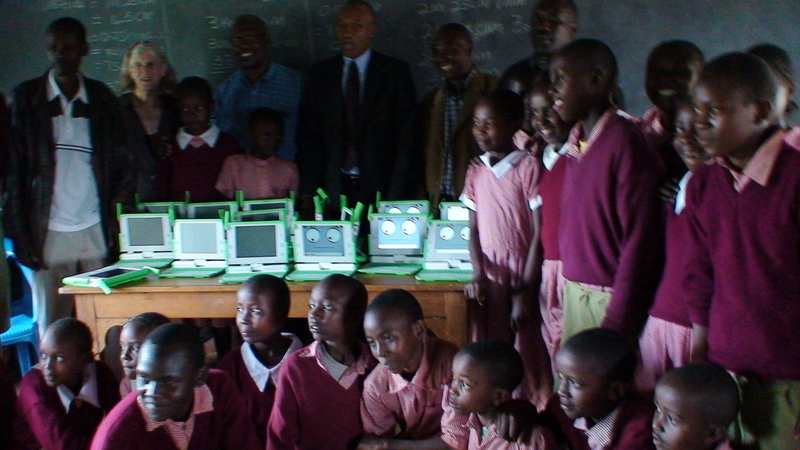 These selected laptops were developed at MIT and resulted in the One Laptop Per Child program. The number of sites in Kenya now with these laptops has grown to almost 35. 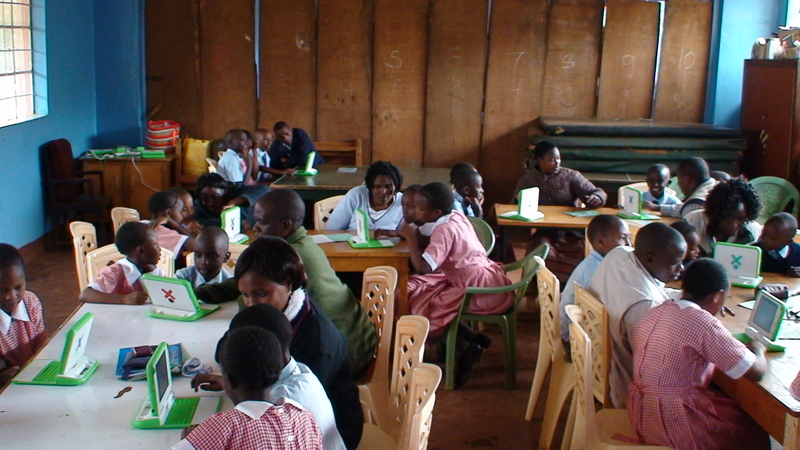 We have established a Kenya based support and training organization to support these sites: the OLPC Kenya Alliance: http://olpckenyalliance.com. Gatunda. Only one of these teachers had ever used a laptop. Good work!you should be doing more of this and covering also other counties in Kenya. Hello Manish, Tell me more about yourself.